Ahoy-hoy! Welcome to the Three mobile phone deals guide from GoCompare. But were De La Soul talking about Three the mobile network? Well, no. But we are, as this is our Three mobile phone deals guide. Listeners listen, cause this here is wisdom. "Our network was built for the internet." That's how Three describes itself. 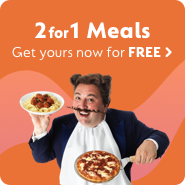 First with 3G and now 4G, Three was the first UK mobile phone network to offer all you can eat data. Three started out in Hong Kong and launched in the UK on Monday 3 March 2003 (3/3/03). Because it loves the number three. And it's Three not 3 in the UK, despite its fancy logo. Three mobile phone deals - what's out there? Oh, that new-phone smell. If you’re after a new handset to go with your contract then Three can sort you out. Apple, Samsung, Huawei, Sony… even BlackBerry phones are available from it. Three will often throw in gifts and extras with a new phone. It’s offered Netflix subscriptions, PS4s, and Bose headphones in the past. Shop around and compare deals from different networks to find the right contract for you. The sim-only market has exploded with people keeping hold of handsets for longer. To attract or keep customers, mobile operators are slashing costs and piling on data bundles. Three is no exception and usually has some cracking deals, especially for big data users. Three won Best Phone Deal of the Year at the 2017 Mobile Choice Awards for its £18pm 30GB sim-only plan. Compare Three’s sim-only plans to get a good deal. Pay as you go (PAYG) mobile phones are ideal for low-usage peeps or those on a budget. Kids too if a parent is picking up the bill. Three offers all the latest smartphones. You can also find those indestructible blighters with battery-life that can be measured in weeks. PAYG tariffs have dropped in price over the past couple of years, so could be an cheaper option for some people. Heavy users, especially with data, might be better off on contract mind. Also, you can't currently buy PAYG deals through our website. You can compare contract phones and sim-only deals though. As this is our guide to Three mobile phone deals, we'll not go into too much detail here. But get your goggles round our mobile broadband and dongles guide if you're after more info. Needless to say, Three usually has plenty of deals on data - but compare what’s out there before committing. On top of that, Ofcom announced in March 2018 it was investigating Three and Vodafone for ‘traffic throttling’. It’s about net neutrality rules rather than road rage. Three said it would be "working closely with Ofcom to understand their concerns." Time for some more positive news. Three was voted Best Network for Data and for Roaming at Mobile Choice Consumer Awards 2017. It won the Best Network – Customer Support category at the 2017 Mobile News Awards. Three was also commended for Customer Service and Best Network Performance at the same awards. Try not to over commit – most new phone contracts are 24 month affairs. Can you afford to be tied in for that long?